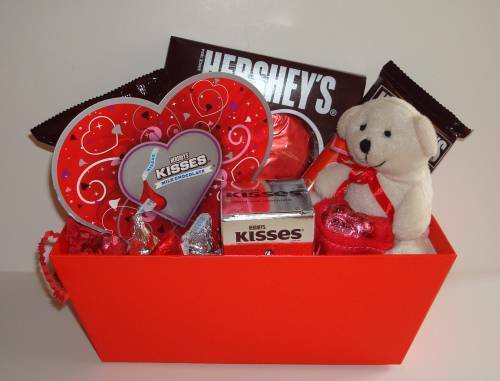 Our Hershey Valentine gift basket is perfect for the chocolate lover. 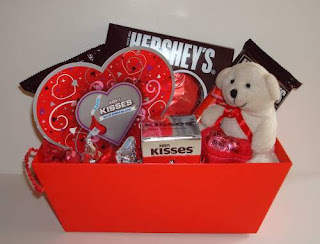 You get a 5 once boxed solid Hershey chocolate heart, a 1 oz kiss, a marshmallow heart, a heart shaped boxed of kisses, some hugs and kisses and a stuffed teddy bear. When it comes to chocolate Hershey's is one of the best !